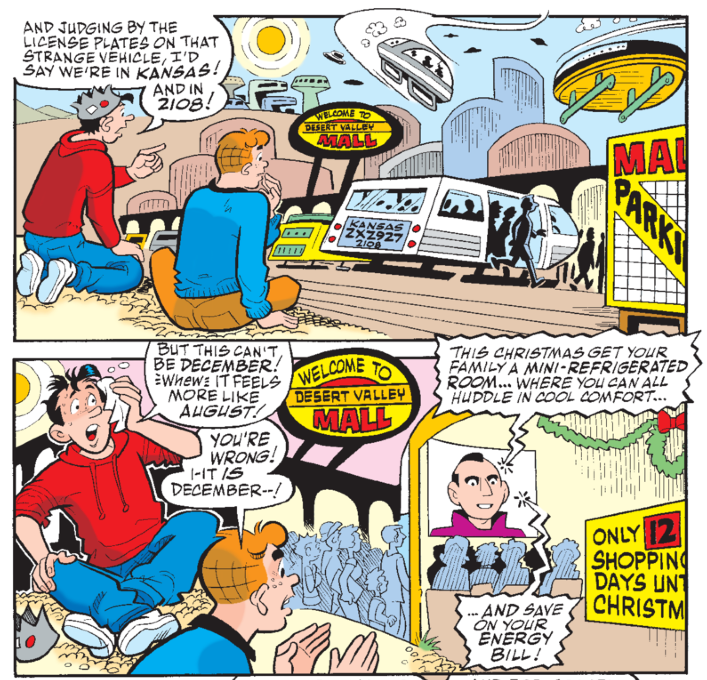 Despite his old-fashioned looks, Archie Andrews is a longtime climate leader. 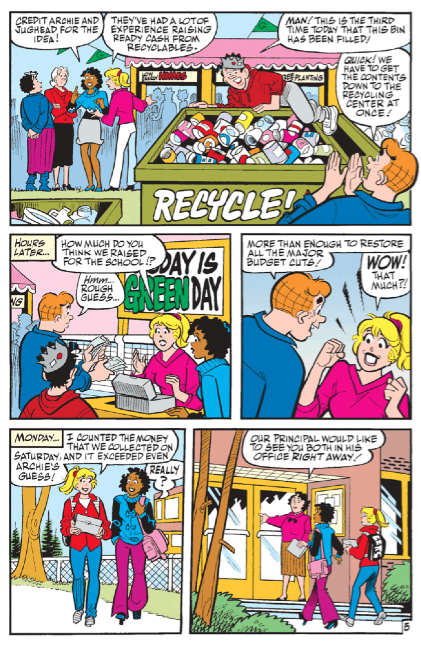 Archie comics have featured environmental themes as early as 1971: Life With Archie #110 contained “A Solution to Pollution,” in which the Riverdale gang convinces Mr. Lodge to stop killing fish in the local river with runoff from his paper mill. 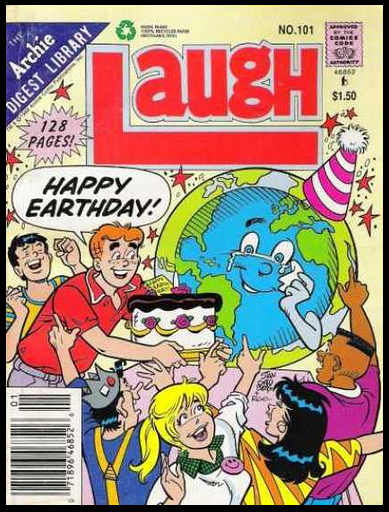 And around 1990, stories began appearing that introduced little kids (including me) to the concept of global warming. 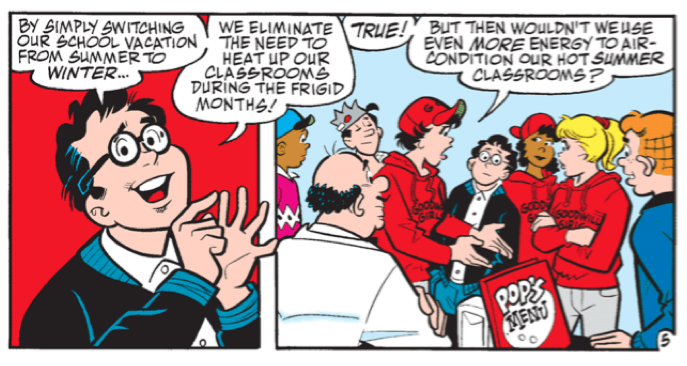 In an elusive story that terrified me as a child and strongly shaped my life course, Mr. Weatherbee, the principal, dreams of a hotter planet: cafeteria lunch is green-pea-and-mashed-potato popsicles, and everyone’s favorite math class is taught in the swimming-pool. 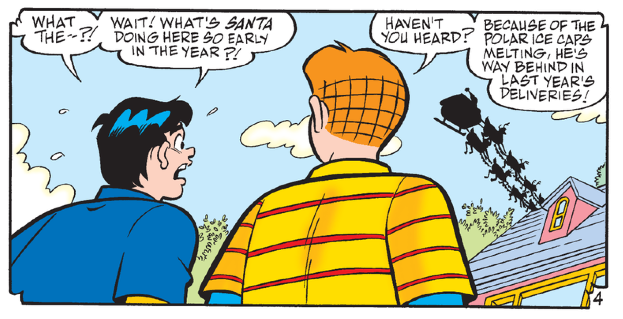 As Weatherbee’s dream-body begins to melt, he startles awake. 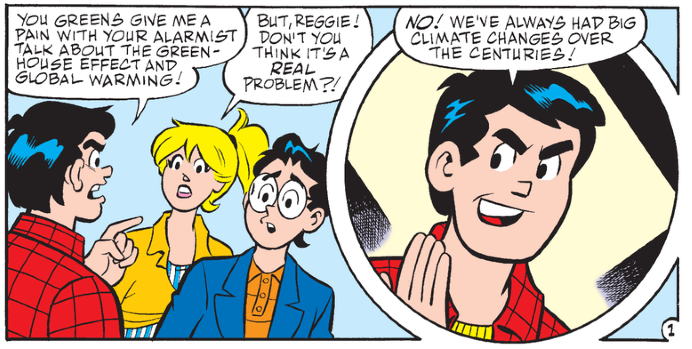 While Steve Scott, Archie’s press rep, says there’s no official climate education policy, it’s a frequent theme. 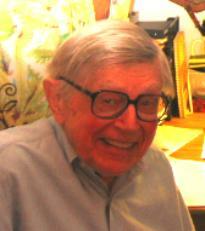 And although other writers have tackled climate, most of these stories were penned by George Gladir, who died on April 3rd of last year, at age 88. Despite many professional accolades during his lifetime and several lengthy, loving obituaries, Gladir isn’t widely recognized as an environmentalist. 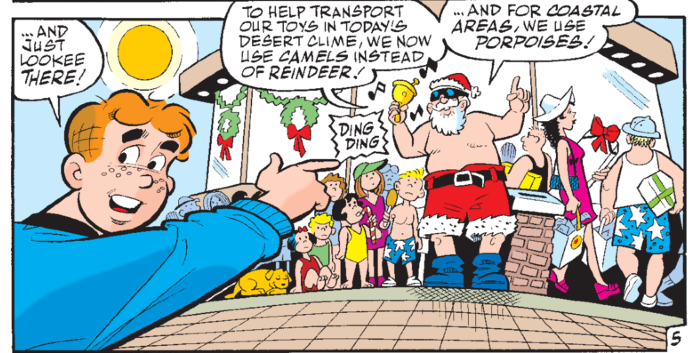 Except, perhaps, by decades of young readers who never learned his name.